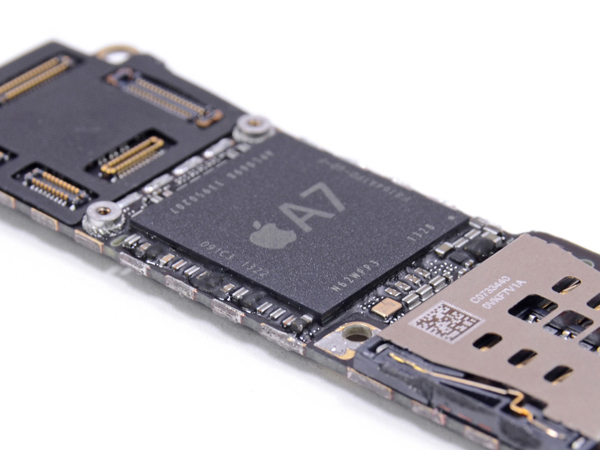 The M7 has been a difficult chip to locate on the board and rumors have been going around about the lack of a discrete M7 chip inside the iPhone 5S. 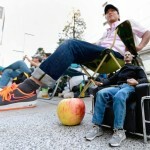 All expectations up to now were pointing to a stand-out chip as seen below at the Apple Town Hall event. Luckily, we’ve been able to locate the M7 in the form the NXP LPC18A1. The LPC1800 series are high-performing Cortx-M3 based microcontrollers. This represents a big win for NXP. We had anticipated the M7 to be an NXP device based on input from industry analysts and our partners and we are happy to see this to be the case. If you’re interested in learning more about the technology that powers the newest iPhone, the report from Chipworks is a great place to start. They’ve also examined the camera sensor, Wi-Fi chip, and a number of other parts of the phone. And what a horror, they used a gold iPhone for the teardown. 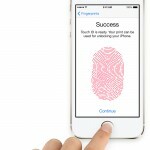 For other iPhone 5s news, see: How To Set Up And Use Touch ID On The iPhone 5s, The Latest On iPhone 5c and iPhone 5s Stock As Launch Day Continues, and Apple Said To Have Increased Gold iPhone 5s Production Following High Demand.